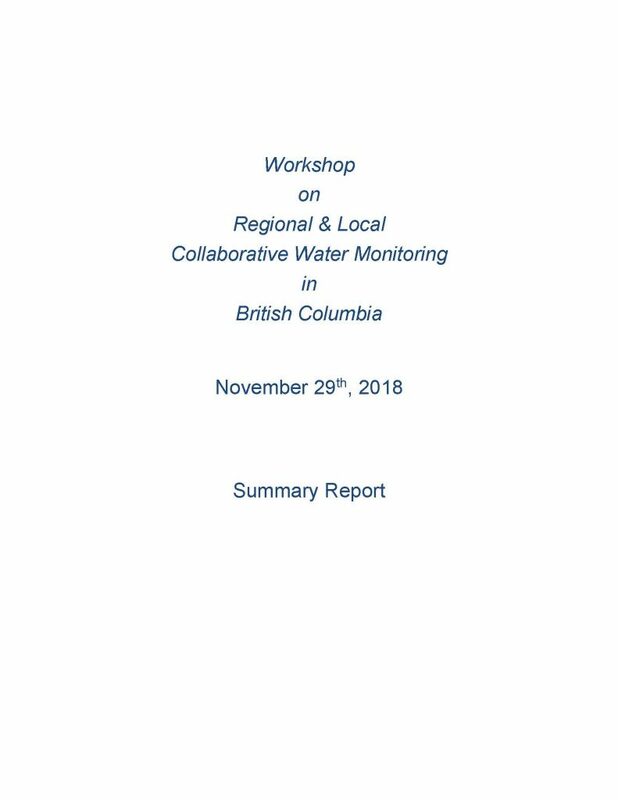 This report summarizes the discussion and outcomes of a workshop hosted by the BC Water Funders Collaborative (BCWFC) on November 29, 2018. POLIS supported this workshop as part of its ongoing efforts to support the BCWFC and community-based monitoring. At the workshop, 12 representatives from various collaborative water monitoring initiatives from across B.C. came together to articulate how government, water funders, and regional initiatives can work together more effectively on water monitoring and reporting to advance freshwater management and protection.